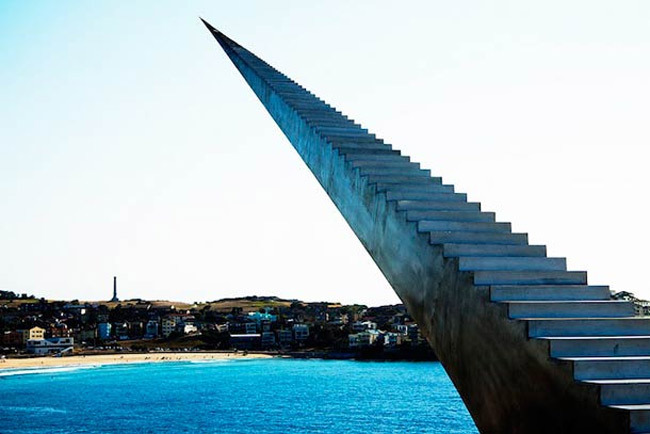 "Sculpture by the Sea" The world's largest annual free to the public outdoor sculpture exhibition, based in Bondi, Australia has made it's come back for a 17th year. 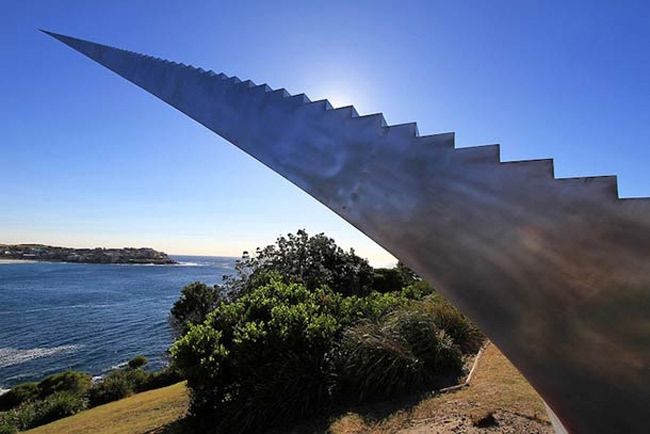 One of Sydney's most loved events, the outdoor sculpture exhibition returned to the stunning Bondi to Tamarama coast walk from 24 October - 10 November 2013. 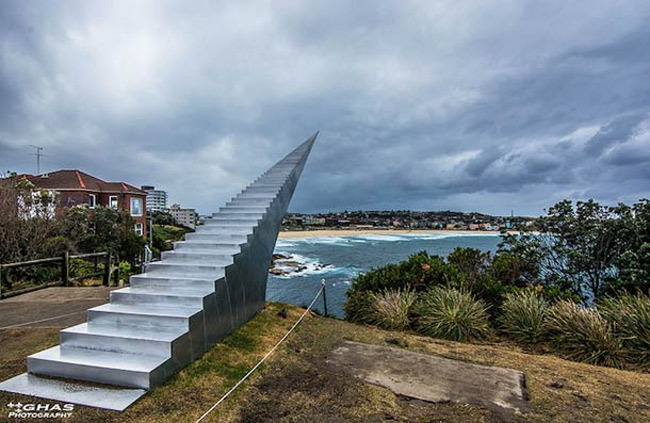 The spectacular Bondi to Tamarama coastal walk was transformed into a two kilometers long temporary sculpture park featuring over 100 sculptures by artists from Australia and across the world. It is an exhibition that allows many sculptors and artists to present their talent and make use of their creativity to the fullest extent. One of the most amazing piece of art on the exhibition is an sculpture entitled "Diminish and Ascend" by artist David McCracken. This inspiring artist was born in Auckland, New Zealand. David McCracken began sculpting in his teens, mostly figurative work carved in wood. 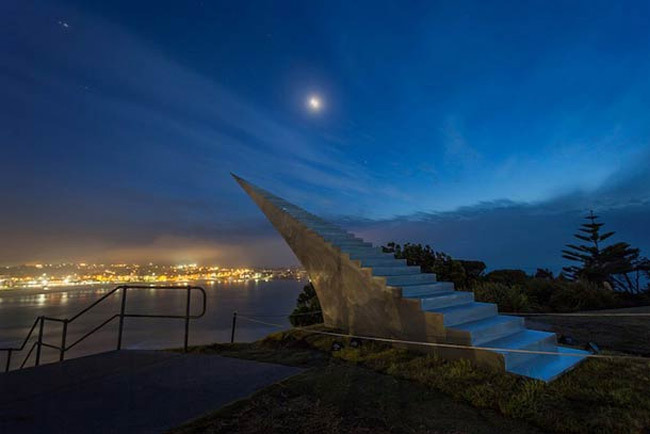 Returning to Auckland in his early twenties he worked in a variety of jobs including boat building and construction and gained skills using fiber and later steel fabrication and welding. He involved himself in performing art and that is when breathtaking sculpture was created. 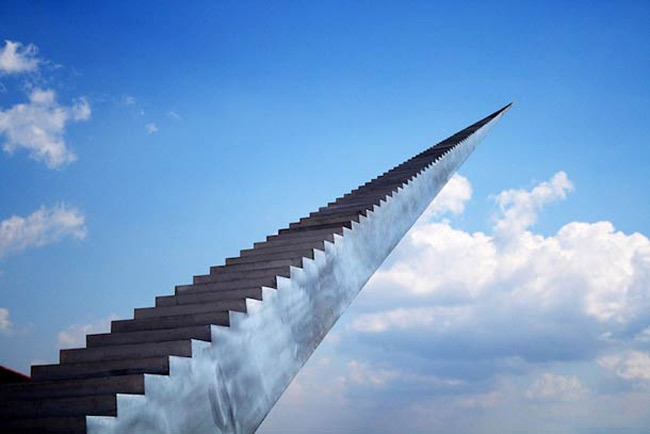 It is basically comprised of aluminum stair steps that have been welded together and it resulted in the stairs pointing to the sky. 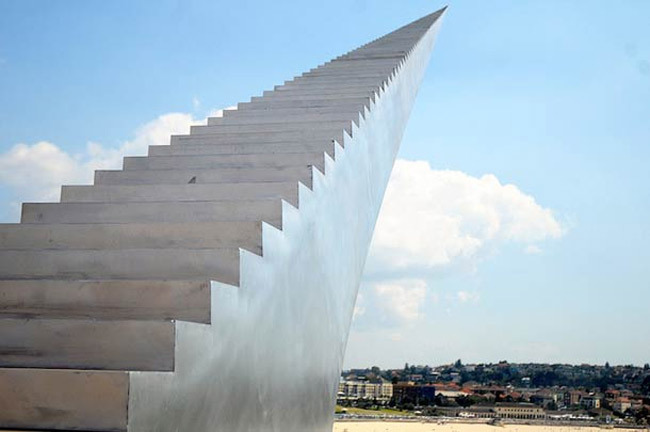 Depending on which angle you are looking from and the weather conditions, the sculpture appears more and more dangerous and hard to climb through. 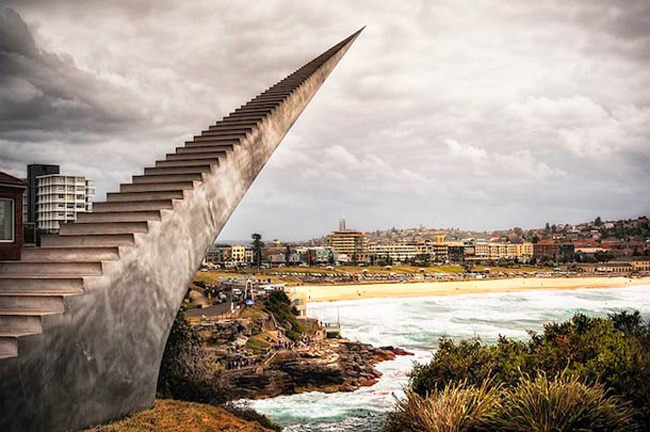 These stairs seems to go on forever and it looks like a fairy tale becoming reality. McCracken has exhibited at many outdoor exhibitions including three Sculpture in the Gulfs, winning the People's Choice award in 2005, and Shapeshifter exhibitions. He has been short listed for the Wallace Awards three times, being an award finalist twice.